Today, I am the subject of Book Blogger Abroad, a weekly feature on Leeswammes’s Blog. I thank her for interviewing me. Kinna, it was really nice to read about you and I love the photos! Now, do you know about Book Mooch as a free source of books? http://www.bookmooch.com – it’s a sort of swap site, and although not all members are willing to post books outside their own countries, many do, and many members generously mooch recent releases as well as classics. If you do join, you can find me there using Lisa (Australia). Thanks for the suggestion, Lisa. I will check Bookmooch out. Saw the interview this morning – actually before I saw your post! It was really interesting. 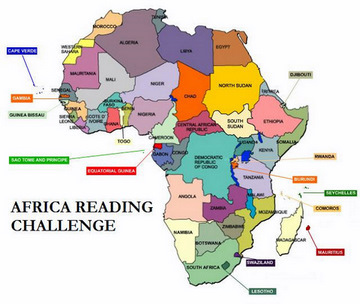 It’s great to see Ghana on the map for more and more areas!